Iceland is always a popular spot for long-weekend getaways, due to the fact that it’s not too far from anywhere and is often a direct flight, whether you’re coming from a city in the U.S. or from Europe. Depending on your travel style, you can easily see Reykjavik and surrounding areas in four days and feel like you’ve done more than scrape the surface. That’s exactly what we did on our 4-day trip. It was short, but packed full of excitement. If you’re looking for a quick guide, here are the top 10 things to do in Iceland to get you started. You may also want to look at our country guide to Iceland, which includes information on when to go and what to expect. Planning your trip to Reykjavik? See our recommended hotels at the end of this post. First, pick a transfer/excursion company. Most visitors to Reykjavik choose one of the convenient tour companies for transfers to and from the airport. Those companies also offer a combination that includes a stop at the Blue Lagoon and other add-ons, such as a Golden Circle tour, a Northern Lights tour or to other places of interest further afield in Iceland. For a four day jaunt, we recommend using BusTravel Iceland for these services. They will arrange all of your pick-ups and drop-offs with ease and provide knowledgeable and personable guides for their tours. Next, pick a centrally located hotel. We recommend a hotel near the main walking streets, Skólavörðustígur and Laugavegur, such as the quiet and welcoming Hotel Odinsve. The hotel is clean and comfortable, with all of the amenities you might need for a short stay in the city. The adjoining Snaps Restaurant is a convenient place for breakfast or lunch. And best of all, the location is easy walking distance to everything included in this itinerary. Alternatively, if you’d rather stay near the marina, Center Hotel is a good choice. Both of these locations will put you in the perfect spot for walking and taking in everything the city has to offer. Don’t Want to Play It On Your Own? Want help planning a trip to Iceland? ViaHero will help you plan an awesome trip to Iceland. 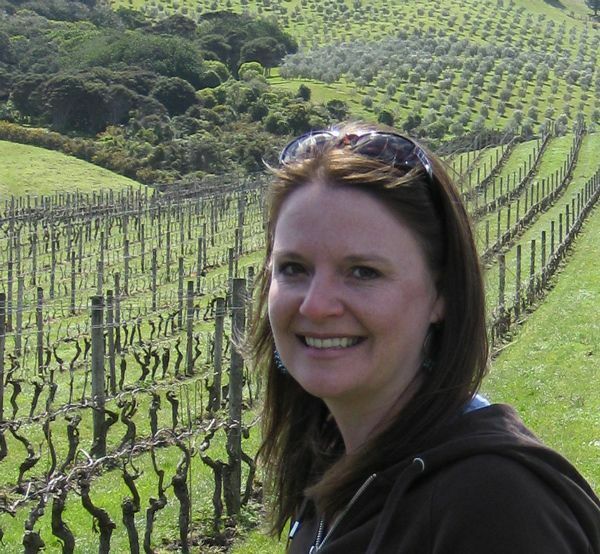 A local will help you put together a fun and exciting itinerary at a very reasonable price! You can even use our coupon code SAVOREDICELAND for a 5% discount at checkout. Adding these popular day tours from Reykjavik are a great way to see more and experience the countryside outside the city. If you plan to add any day trips, you can use the links below to pre-book the activities you want to do while you’re in Reykjavik so you don’t miss out. Tours in Iceland tend to book up quickly. It’s always best to have your tickets booked in advance. It’s fairly easy to snag a layover in Reykjavik on your way to other locations in Europe, as well. These tours are perfect for a long layover or stopover in Reykjavik. Since most flights into Reykjavik arrive in the early morning hours, you’ll need to fill the first half of the day before being able to check into your hotel room. The biggest decision you’ll need to make is whether to stop at the Blue Lagoon upon arriving, or wait until your return to the airport. The transfer companies provide this service in their packages, and it’s a very convenient way to get to and from the Blue Lagoon. It is approximately 45 minutes from Reykjavik and 20 minutes from the airport. If you choose to go on the way into town, you will check your bags at the main gate of the Blue Lagoon and continue on to the locker rooms to get changed. It is highly recommended to purchase tickets in advance so you don’t have to wait in the line. Plan to stay for 3-4 hours total. More if you’re enjoying spa treatments and a nice leisurely lunch, less if all you plan to do is soak in the lagoon. Lava Restaurant is on the premises and offers an exceptional lunch menu and drinks that will start your day off right. We recommend waiting until your return to enjoy the lagoon, as you’ll be more likely to enjoy it fully when you’re not jetlagged or sleep deprived from the red-eye. If you choose this option, you’ll likely find yourself at your hotel by 9am. They will store your bags for you until check in, so you can set off to explore the town. ⇒ Get your tickets in advance for the Blue Lagoon. Book here. For a hearty breakfast and caffeine boost, stop in at Grái Kötturinn. After a plate of eggs and potatoes, you’ll be ready to explore the many tourist shops along Skólavörðustígur. Along the way stop off at the impressive Hallgrímskirkja Church for a panaramic view of the town from the clock tower. Out front you’ll find a statue of Leifur Erikson, a Norse explorer who is credited as the first European to land in North America. Don’t miss the Einar Jónsson Museum next door, dedicated to Iceland’s most renowned sculptor. Walk down to Laugavegur for a lunch stop. After lunch, continue your tour of the upper part of the city on Laugavegur. You can stop for an afternoon refresher and some great people-watching at Te & Kaffi or Stofan Cafe, then catch a mid-afternoon catnap now that you can check into your hotel. Reservations for dinner are always advised, and sometimes absolutely necessary. Plan ahead at least a couple of weeks so you won’t be disappointed. Grillmarkadurinn is just the right place for your first dinner. The tasting menu will lead you through an array of impressive Icelandic dishes. Save room for the crazy good bread and butter service. For an after-dinner drink and some LIVE music, stop in at the Kofinn, or hit up one of the many night-clubs nearby for a rowdier evening. Now that you’re somewhat recovered from the lack of sleep from the red-eye, you’ll be refreshed and ready for a new day exploring the city. Today, head south on the walking street toward the marina. Hit up the Tourist Information Center first to grab some maps and information. There are also some nice tourist shops nearby to pop into for a look. If you’re a foodie like us, you’ll want to start early so you can try many of the special treats near the marina. Start with a lamb hotdog with “everything” at Bæjarins Beztu Pylsur (or try Pylsuhusid Hot Dog House recommended by Eating the Globe), then head to Saegreifinn for a bowl of their famous lobster soup and our choice of skewer from their display case. If you still have room, grab an order of fish and chips and a local beer across the street at Icelandic Fish and Chips. MicroBar in the Center Hotel opens at 5pm and has an impressive selection of bottled beer from all over the world, as well as taps from many of the local breweries that you can try in a tasting tray. Spend a couple hours here exploring their selections and quizzing the knowledgeable staff. Take a walk around Harpa Conference and Concert Center and enjoy the view from the top floor, overlooking the beautiful bay and mountains in the distance. A little further down the seawall you’ll find the Solfar (Sun Voyager) Sculpture, which is also a popular location for viewing the Northern Lights during the winter months. When you’re ready for dinner, head to Tapas Barinn to enjoy the tasting menu or choose your own dishes from the extensive list of Tapas on offer. Don’t forget to try the local liquor, Brennevin. If you’re lucky enough to be visiting Reykjavik from September to March, many of the local tour companies lead evening trips to search for the Northern Lights. Typically, you’d be picked up around 7-9pm and spend a few hours driving in a large tour bus in search of the lights. There are smaller tours available as well as private excursions that also allow the opportunity to bathe in a thermal pool while waiting for the lights to pick up. If you chose BusTravel as your transfer company, you can add on a northern lights tour to your package. ⇒ Check out the Northern Lights tour we went on in Reykjavik. A great way to see the surrounding countryside without venturing too far afield is on a Golden Circle Tour. The full-day tour departs around 9am and takes you to see Faxi waterfall, the Geysir area with the 20-metre high hotspring geysir Strokkur, the Gullfoss Waterfall, and the Thingvellir National Park. If you chose BusTravel as your transfer company, you can add on a Grand Golden Circle tour and they will organize everything. ⇒ Get your tickets in advance for the Golden Circle Tour. We combined our love of food with our tour and went on the Golden Circle Gourmet Food Tasting Tour. When you arrive back in Reykjavik, you’ll probably be hungry. Sjavargrillid (Seafood Grill) is the perfect place for a laid-back dinner and amazing cocktails. They have a tasting menu to enjoy, plus plenty of delicious seafood options on the a la carte menu. You might not be feeling up to a big dinner after being out all day, but you really don’t want to miss the delicious food at Sjavargrillid, so make sure you add it to your Reykjavik itinerary on another day. 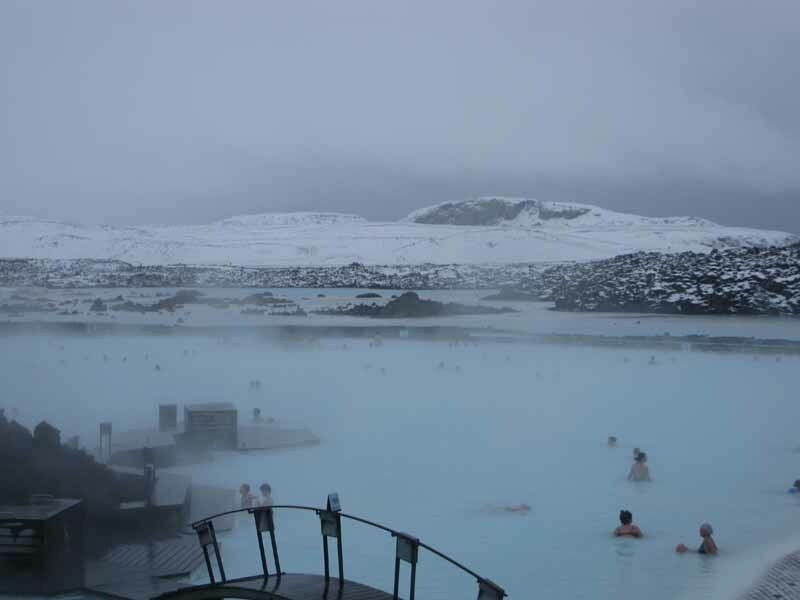 If you didn’t stop at the Blue Lagoon on the way into town, today is the day to enjoy the thermal pools and spa at The Blue Lagoon. You’ll want to leave the hotel with plenty of time to enjoy a leisurely soak in the lagoon, as well an incredible last meal at the on-site restaurant Lava, where you can even dine in your bathrobe. Remember that it takes 45 minutes to get to the Blue Lagoon. It opens at 8am (except from end of May to mid-August, when it opens at 7am). With most flights back to the U.S. leaving at 5pm, you’ll have just enough time to accomplish the above mentioned activities before heading back to the airport around 2pm. If you wish to add on spa services or enjoy more leisure time at the lagoon, you definitely need to go to the Blue Lagoon at the beginning of your trip, so you have as much time as you wish. We found that four hours was ideal for enjoying the lagoon without extra services. More time would have resulted in especially wrinkled skin! We hope you enjoy your four days in Reykjavik and the rest of Iceland as much as we did. Feel free to contact us with your Reykjavik itinerary questions. Just returned from Iceland? Tell us about your trip in the comments section. We’d love to hear how you like it and what you did. This entry was posted in Itineraries and tagged Iceland, Reykjavik. Thanks so much for an awesome blog post. I’m not sure when it was written as there is no time stamp, but I can only imagine that it is pretty current and up to date. Last night, I booked my partner and I flights to Reykjavik. I’ve never been to Europe (yet have lived all over the world) and thought this would be an interesting adventure a little off the beaten bath. We are going to be arriving on May 14th at 4am and Leaving on the 18th at 5pm. I agree with your advice about traveling to the blue lagoon on the last day before the airport, but at this point, I’m a bit at a loss when it comes to what to do arriving at 4am so early in the morning 45 minutes away from downtown. Any advice on how to get downtown or is there some sort of tour company that helps with this? Also, we were contemplating renting a car and making the trek around the tourist areas all by ourselves. We are 28 and love to explore, but I’m weary of roaming around and being tired/spending so much time in the car. Do you think the Golden Circle Tour is enough time for us to truly get a grasp and experience the beauty Iceland has to offer? We love being around nature and this is a huge part of the reason Iceland is my destination of choice. I just don’t want to miss out on the highlights. We will definitely need the first day to rest and be in Reykjavik, but day two, I’m wondering if we will need another FULL time to experience Reykjavik. Any advice you have would be fantastic! Hey there! Glad you’re finding the post useful. The date of the post is in the URL, in case you’re ever curious. This post was written recently, so it’s all relevant info. I’d be happy to help. I’ll send you an email with some more information to answer your questions! Definitely send a day or two in Reykjavik, then the rest of the time driving the Island. The Golden Circle Tour is good, but there are other great things to see if you’re driving. Good luck and have fun! I wanted to follow up to Rocky’s question – were there any suggestions about what to do after you land at 4am? I’m visiting in September and we are renting a car, but we can’t check in to our room until the afternoon. Thanks, this post was great! Kellie, if you’re worried about needing to “burn” time that early and think it might be difficult to jump right into touring around, I think the best option is to go the Blue Lagoon at that time. It’s less crowded, you can get a shower, and you’ll be able to relax instead of hitting the ground running. It will take 3-4 hours at the BL, so once you get into Reykjavik your room may be ready. If you have any other questions, please feel free to contact me (savoredjourneys at gmail.com). We got back after spending six winter days iceland… Awesome! Did you go to the south shore? We went to Vik Beach and Jokulsarlon…. Totally enthralled by Nature’s creation! We didn’t get to the south shore. It was near blizzard conditions while we were there, sadly. Glad you had a great time! We have a rental car and are going next week. Staying in Reykjavik…is Vik Beach and Jokulsarion do-able with little daylight? They’re definitely on my list! Iceland is one of my dream destinations! Then you definitely have to go! It’s actually quite easy to travel there. You’ll love it! Hi Laura, may I know how much did you spend on the trip? Thanks so much for all your travel advise. I am taking my 16 year old to Iceland in February. Just the two of us and I really want this trip to be great for him. Any advise you may add on? Maybe some packing insight? We will be in town for 5 days. Thank you! Hi Melissa. In February, it will be fairly cold and icy in Iceland. You won’t be able to get around to some of the outer areas where the roads might be shut off due to weather issues. We went in March and weren’t able to get to much outside of the Golden Circle area. For packing, you should definitely pack layers – thermal underwear, sweater, winter coat, gloves, hat, etc. You can always remove it when you’re too warm. There are plenty of museums and things to do in Reykjavik, too. I’m sure you’ll have a fantastic time. If you need more information as you’re planning, feel free to email me. I love Island and would love to see it one day. My friend who went last year loved it and it’s my turn now . Thanks for the great post. Your welcome, Marc. Iceland is in my top destinations of all times list! My daughter and I just came back from a 12 day trip to Iceland, which extended from late December to early January (including the frenetic New Year firework celebrations). Despite driving on the opposite side of the road and never having cold weather driving experience, we safely drove around the entire Ring Road, with only a detour in one section due to road closures. We experienced every type of weather from hurricane winds, to snow storms, and beautiful sunshine, all of which added to the amazing experience. If you drive slowly, respect the weather conditions, and refer to the relevant road condition maps on the web each morning it is very safe. Our biggest tip would be to plan ahead and book tours well in advance (we booked a month before arriving) so you are not disappointed by the tours being booked out. We road Icelandic horses across the snow, went ice caving, climbed craters, hiked alongside glaciers,soaked in numerous thermal spas and chased the Northern Lights. There are great website to help you plan. Try and chose well-established companies that are local to the area you are visiting as they seemed to offer the best experiences when other companies would cancel trips. Icelandic people are extremely welcoming and we would dash back in a heartbeat (despite the 38 hors to get there from our home in Australia). Thanks for such great information, Julie! It’s awesome that you braved the weather and drove yourself around the country. It sounds like you got to do a bunch of the awesome things that Iceland is so well known for. I think either would be just fine. I took hiking shoes (not boots) with good sturdy soles and those were perfect (it can be slippery), but it gets bitingly windy there, so you might want more warmth. Have a great time! Hi, are there any other thermal spas that you recommend near Reykjavik besides the Blue Lagoon? My sister and I are traveling to Iceland this November for 5 days and would like to spend some time in one, but heard the Blue Lagoon can be overrated and pricey. Any help is appreciated! Thank you! Hi Nicole. Unfortunately, there aren’t any other thermal spas near Reykjavik that I know of that aren’t as unique and interesting as the Blue Lagoon, unless you get pretty far outside of town. The ones that are closer in are more like regular swimming pools and don’t have the same atmosphere. I’m not sure those are what you’d be looking for. The Blue Lagoon can be somewhat pricey, if you add on a bunch of extras, and it’s commercial, but it’s still a fun experience that can be worthwhile. Try to go at a time that is less busy and you’ll have a much better time. Hi Laura, I have trip to iceland in December for a group of nine friends for only four days. We are trying to figure out which option on places to stay and tour packages is the most cost effective? Would renting airbnb and renting a car be best for large groups OR booking a private tour guide that includes hotel stay, transportation, and ticket admissions for around $750 (in my opinion, seems a bit much). Please help! thank you! Hi Wynn, I don’t think that price (per person, I assume) sounds too high for the things it includes, especially because you’d have to rent a huge van for 9 people and you wouldn’t have professional assistance. I’ll email you some more thoughts. Planning a trip to see the Northern lights for 4 nights but don’t know if it’s best to go January or March? Also how much spending money would you suggest we need per person? The flights, hotel and excursions (northern lights, golden circle, secret lagoon and blue lagoon) will be paid for before we go. Hi Georgina. If you’re going for the lights, you should probably go in January (it’s more likely to see them then than in March), but keep in mind that it could be colder and worse weather, which could lead to no clear skies. It’s hard to say how much spending money you’d need, not knowing how you like to travel, but I will remind you that food can be quite expensive, so keep that in mind when deciding. Both times of year offer such unique experiences. I’m looking forward to Iceland in summer too. Yes, every trip to Iceland should include “getting out there”. Thanks.